Twisted Sister: Embellished Mini Quilts - BOOK COMING OUT! Embellished Mini Quilts - BOOK COMING OUT! 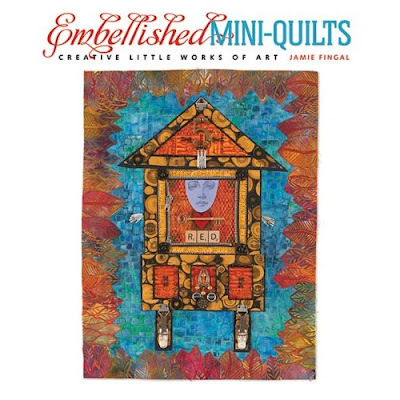 "Embellished Mini Quilts" from Lark Books. It will have my work along with pieces from the following talented artists: Frances Holliday Alford, Cindy Cooksey, Rice Freeman-Zachery, Terry Waldron, Deana Hartman, Susan Sorrell, Larkin Van Horn, Stacy Hurt, Janet Ghio, Lisa Corson and Kathy York. 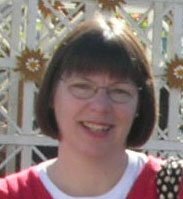 I worked with the publishing/producing company - Red Lips 4 Courage - who produce books for Sterling. It was a tremendous learning experience! I am so thrilled that I could almost pop with excitement! Go to my website for ordering information. Congratulations! I can't wait to get a copy. I'll see you in May at QOTW. Congratulations on the book. This is my first visit to your blog. Hope to be back soon. How funny to find you...I am such a dope. I actually was accepted to BE IN THIS BOOK too ! But stupidly I didn't realize it and and did not send in my work. When the deadline came and went Natalie contacted me and asked me WHERE my quilt, etc was...and I was hit over the head with my stupidity at not realizing that letter had been an ACCEPTANCE LETTER. I apologized many times over, but What a Big dope , huh ? So...I am anxious to see this book and all of you wonderful artists I might have been In The Family with...wah. Really tho, CONGRATULATIONS on being published ! I will have an extra special interest now to see YOUR chapter.